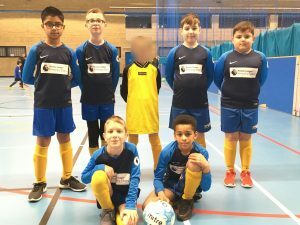 Well done to our footballers who competed in the 2019 Play Unified Football 5-a-side Tournament. After a slow start losing their first 3 games, they went on to win their final 2 games with Jayden scoring a total of 5 including a hat-rick in the final game and earning him Castlecroft’s player of the tournament. Jayden and Chad were captains and for most of these boys it was their first taste of competitive football. We hope to play in the next round at the Wolves Dome in July. Well done I was incredibly proud of you all. Mr Morgan.